... President Donald Trump, a repeated skeptic of climate change, took to Twitter on Wednesday night to again express his doubts, using the especially cold Thanksgiving [weather] forecast as an example. ... Meteorologist Angela Fritz with the Capital Weather Gang asked: "Is there any way it could be buried more? How about New Years Eve at 9 pm, guys?" White House pool reporters showed Trump arriving to his nearby exclusive golf club Wednesday morning just down the road from Mar-a-Lago, Trump International Golf Club, where he’ll be presumably hitting the links for a round of golf in South Florida’s 75-degree weather. The president did not have any public events scheduled for Thanksgiving day. Re:vox_mundi , oh, the conspiracy theories this change in publication date might induce! Coming from the US Global Change Research Program, a team of 13 federal agencies, the Fourth National Climate Assessment Vol II was put together with the help of 1,000 people, including 300 leading scientists, roughly half from outside the government. ... The costs of climate change could reach hundreds of billions of dollars annually, according to the report. The Southeast alone will probably lose over a half a billion labor hours by 2100 due to extreme heat. ...Wildfire seasons -- already longer and more destructive than before -- could burn up to six times more forest area annually by 2050 in parts of the United States. Burned areas in Southwestern California alone could double by 2050. What an absolute joke! "Worst-case scenario" ?? The worst-case scenario is total systemic collapse and mass casualties and mass migration. And it is not an unlikely scenario without dramatic, unprecedented changes in almost everything we do. This sort of soft-selling our existential dilemma is criminal. The proposed replacement would raise allowable carbon dioxide emissions from new and modified coal power plants. Employee morale at the U.S. Environmental Protection Agency (EPA) has not improved since the departure of former administrator Scott Pruitt in July and, in fact, is worsening as President Donald Trump’s political appointees grow more entrenched inside the agency, EPA employees tell ThinkProgress. In the first year of the Trump administration, rumors swirled about massive employee layoffs and the possible closure of regional offices. President Donald Trump’s dismissive attitude toward the use of science in developing rules and regulations contributed to fears among career employees about the agency veering away from its core mission. Contributing to the anxiety are concerns about the EPA’s implementation of a major reorganization plan. Career employees are worried the changes will lead to their transfers into new divisions. At the agency-wide level, they are concerned it will allow political appointees in Washington to exert tighter control over their work. Current partial shutdown of governent offices is because of senate republicans, particularly by Mitch McConnell who wants to keep 800000 government workers without pay. This has unfortunately lead to decrease of available data sources here too. That's probably not because industry in America is becoming more environmentally conscious. PEER suggests the reason for the low number of referrals is that the EPA is only employing between 130 and 140 special agents in the agency's Criminal Investigation Division, less than the minimum 200 agents specified by the US Pollution Prevention Act of 1990. The EPA only referred 166 cases to the Justice Department in 2018. According to numbers from the Associated Press, referrals peaked in 1998, with 592 cases referred for prosecution. Throughout the George W. Bush presidency, referrals ranged somewhere between 300 and 450. Referrals dipped during the Obama presidency to a range between 200 and just over 400. Referrals have been on a downward trend since 2012. Convictions on pollution-related grounds were also at a record low. Only 62 polluters were convicted in 2018, the lowest since 1992. Convictions numbers tend to follow referrals numbers. On Tuesday, The Hill reported that the US Government Accountability Office (GAO) was also looking into low enforcement numbers at the EPA, specifically concerning abnormally low settlements made with polluters in 2017. In 2017, the EPA only collected $1.6 billion in penalties, down from $5.7 billion the prior year. IceBridge, a decadelong NASA aerial campaign meant to secure a seamless record of ice loss, has had to sacrifice at least half of what was supposed to be its final spring deployment, its scientists say. The shortened mission threatens a crucial plan to collect overlapping data with a new ice-monitoring satellite called the Ice, Cloud, and Land Elevation Satellite (ICESat)-2. As the standoff marches through its fourth week, government researchers who study living things face mounting challenges. ... Why it matters: The U.S. faces increasing pressure from abroad, particularly from China, to maintain its leadership edge in innovation. The shutdown is hitting numerous science-focused agencies, including the National Science Foundation, National Institutes of Standards and Technology, NOAA, NASA and the U.S. Geological Survey. 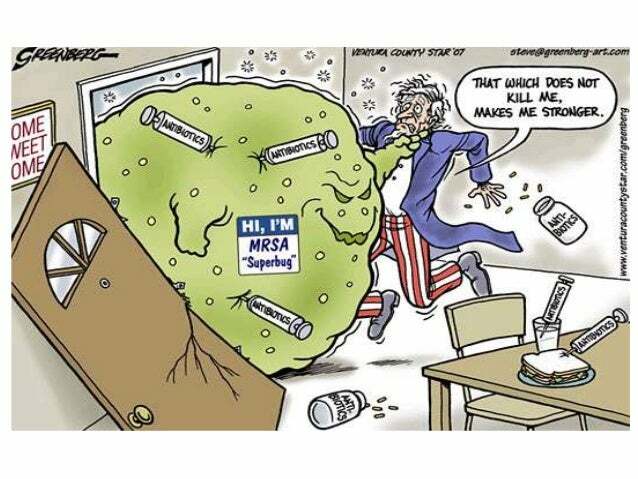 ... Why it matters: The FDA inspects 80% of the U.S. food supply, meaning the food most Americans eat could potentially be less safe and cause an increase in foodborne illnesses. FDA Commissioner Scott Gottlieb told the Post that he's working on a plan to bring back furloughed inspectors at "high-risk facilities, which handle foods such as soft cheese or seafood," as soon as next week. Trump tweets ignorant statement about winter weather in the U.S.
We are ending the month. The message is still there. A major report that passed the Trump Administration by.. first quoted by Klondike Kat on the weird weather thread. Loads of stuff, not just about the USA. It is a 2017 report, but still pretty super. USGCRP, 2017: Climate Science Special Report: Fourth National Climate Assessment, Volume I [Wuebbles, D.J., D.W. Fahey, K.A. Hibbard, D.J. Dokken, B.C. Stewart, and T.K. Maycock (eds.)]. U.S. Global Change Research Program, Washington, DC, USA, 470 pp. The day after President Trump posted a tweet suggesting that extreme cold temperatures in the Midwest cast doubt on the existence of global warming, the climate service for the National Oceanic and Atmospheric Administration (NOAA) tweeted a cartoon explaining that warming oceans result in more extreme winter weather. 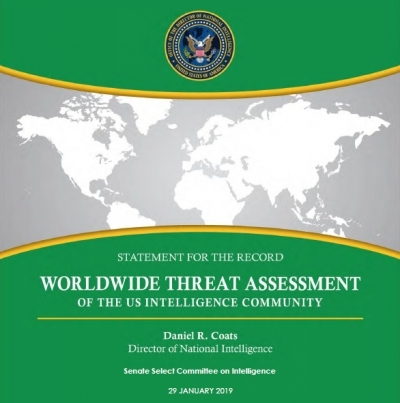 ... Trump made no mention of Russia, which was specifically mentioned by Director of National Intelligence Dan Coats on Tuesday as likely to target 2020 elections. Also left unmentioned was a response to intelligence officials' warnings about the threat of climate change. Interesting that the CIA issues warnings of the menace of "drugs and transnational organized crime ". Will this be followed by Adelson issuing a warning about the influence of unlimited political contributions, then Peabody Coal lecturing us on the dangers of GHG? The EPA Board goes a bit more "Flat-Earth"
The new members include John Christy, an atmospheric science professor at the University of Alabama - Huntsville who is an outspoken climate skeptic and often cited by pundits and politicians opposing climate policies. Christy’s work includes arguing that the climate is less sensitive to greenhouse gas emissions than the scientific consensus has found, including the United Nations’s Intergovernmental Panel on Climate Change. He argues, therefore, that human activity has a very small impact on the climate. The board will now also include Brant Ulsh, a health physicist at M.H. Chew and Associates. Ulsh’s research focuses on low-dose radiation. He has argued against the federal government’s current model for studying the impact of low-dose radiation on humans and said that it is improper to assume that even small radiation levels can be harmful. Skeptical Science has a page devoted to de-bunking John Christy, while acknowledging his technical achievements. There are few people that I consider worse than Christy. 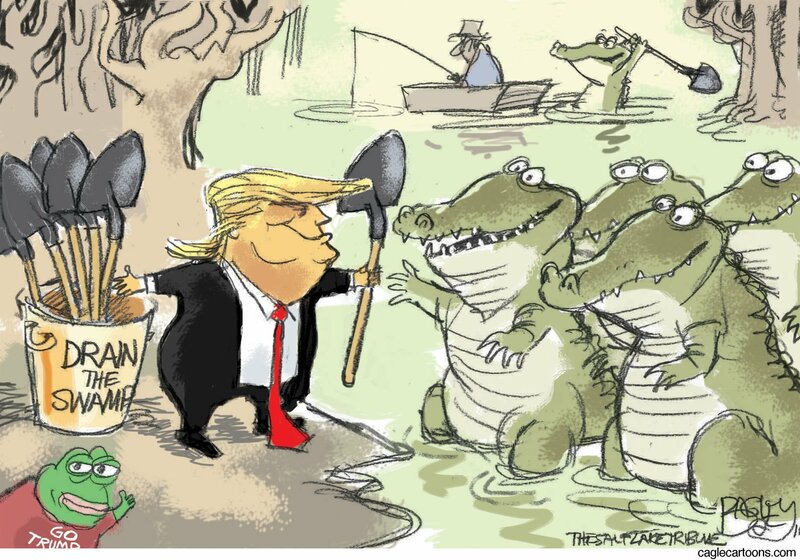 In some way he is worst than Trump, because his lies have been working for far longer. 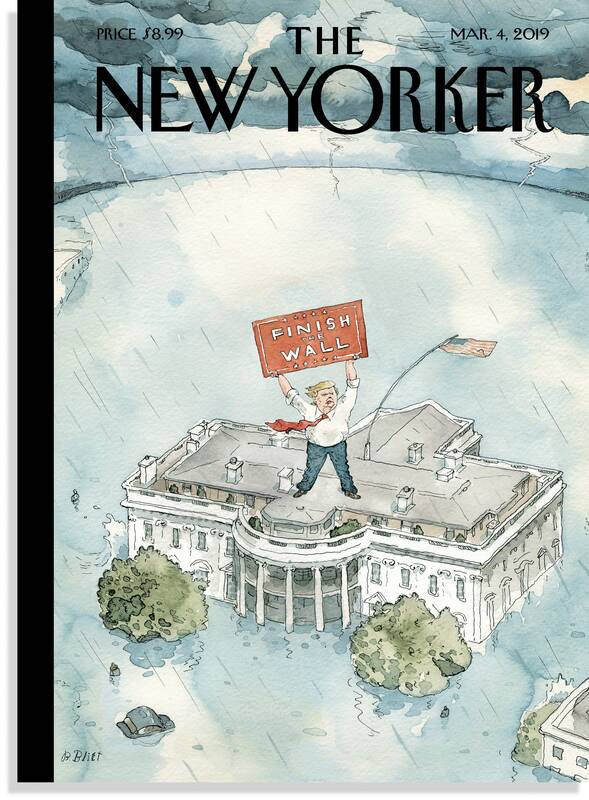 He has had a much greater impact on the human response to climate change than Trump. 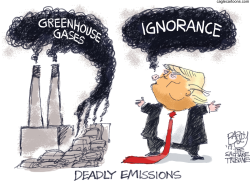 Thus he is responsible for many more climate related deaths than trump. His science is irrelevant because it clearly shows warming, despite his best attempts to disguise it and keep a hint of scientific integrity. The harm he is causing mankind is worse than many because he goes into back rooms where scientists gather and inserts fear and uncertainty. Scientists are humans too. They must be terrified about the possible consequences of climate change like the rest of us. But they have careers and reputations to maintain. They don't want to be terrified. Christy helps them ease their fears with lies. Of course things are changing. Climate change is making itself evident. By the time it is evident to everyone it will be too late. 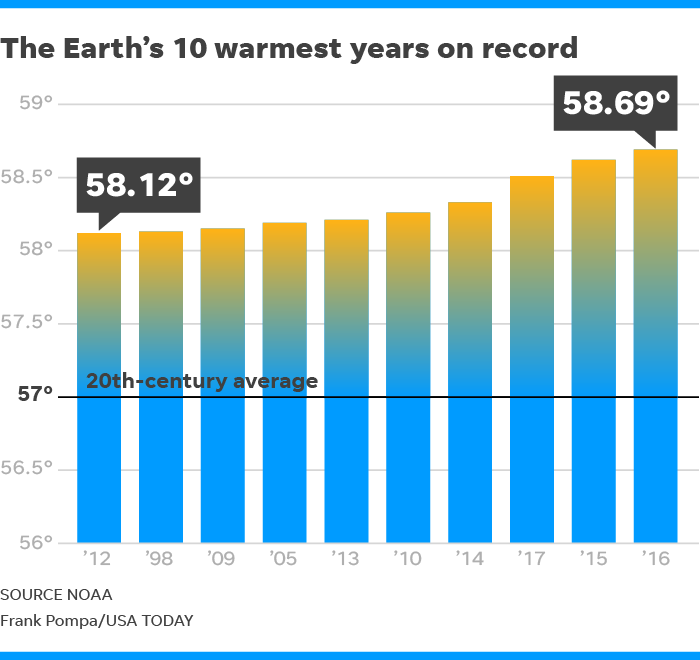 But scientist now have much more confidence due to the predictions about warming coming to pass AND many of them have already been hit by climate change. Soon we will have billboards promoting spas that douse you in "mild" pollution for the supposed beneficial results. Sold Your Soul? Oh dear! Did We Forget to Read the Contract Thoroughly? When Tom Middendorp – then the highest ranking military official in the Dutch armed forces – declared climate change a threat to the world’s security in 2016, he was mocked in the press and among colleagues. ... Less three years later, the security threats posed by climate change are no longer fringe notions. This week, Mr Middendorp launched a global network of senior military leaders to drive policy on the security implications of climate change. The International Military Council on Climate and Security, chaired by Mr Middendorp, includes former US Deputy Undersecretary of Defence Sherri Goodman, former US Navy Captain Steve Brock, former Royal Netherlands Army officer Michel Rademaker, and several researchers affiliated with US and European think tanks. Senior military officials said they were preparing for ever more dire security crises as climate change, rising sea levels, and worsening storms impacted their forces, bases and missions. Mr Middendorp, speaking to an audience at The Hague conference, said that the impact of climatic or environmental change was already being felt on the ground by soldiers. He recalled a hard-won battle to take over territory controlled by the Taliban during a stint in Afghanistan. The US-led coalition forces won, only to watch the territory taken back by the Taliban soon thereafter. The premise that CO2 is good because it's plant food is ridiculous. Feces are plant food. Guess what happen if we spray millions of tons of it up in the air? Plants will probably love it, humans and other animals, not so much. This man Happer is a man of science, how can he possibly think that CO2 will be good? That is not how the natural world works. When the environment changes dominant species of that environment lose their edge. When chaotic dynamic systems get disturbed they often change states to very different states. Extinctions are part of nature. Humans are part of nature regardless of our books and infrastructure. Why should the changes humanity is exerting over the world should be favorable for humanity if they are unplanned and random? It would require extraordinary luck for the changes to be favorable to humanity. No way this guy is using logic and science to reach his crazy conclusions. He is terrified of climate change and this is a panic reaction. 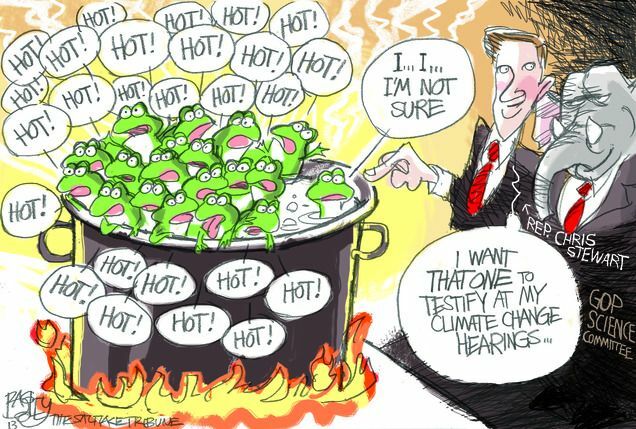 Maybe if he can convince himself and others that climate change will be good it will be good, his panicked little brain tells him. All I wish is for him to live long enough to witness the damage he is causing on his own children and loved ones. But who am I kidding. He'll probably tell himself he had nothing to do with it, just like te tells himself CO2 is good. Cowards will always be cowards. Happer is born in 1939 so he probably won´t. From 1991 to 1993, Happer served as director of the Department of Energy's Office of Science as part of the George HW Bush administration. He was in a ´think-tank´ doing defense and then environment since the 80ies which is just another legit-looking lobbying effort. Some group pays them to advise. What he says about climate change is clearly not scientific. 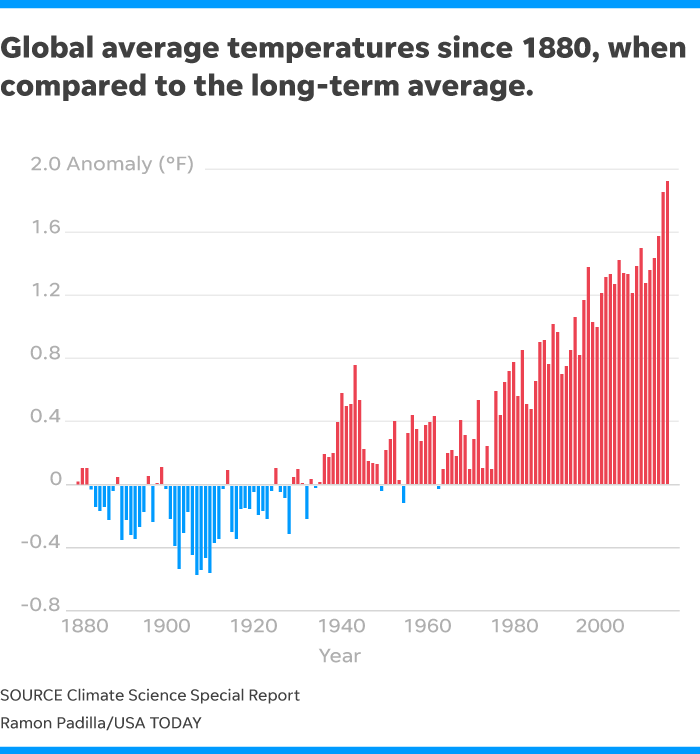 See https://en.wikipedia.org/wiki/William_Happer#Climate_change for some examples. For him this is just a way to earn some extra dollars. 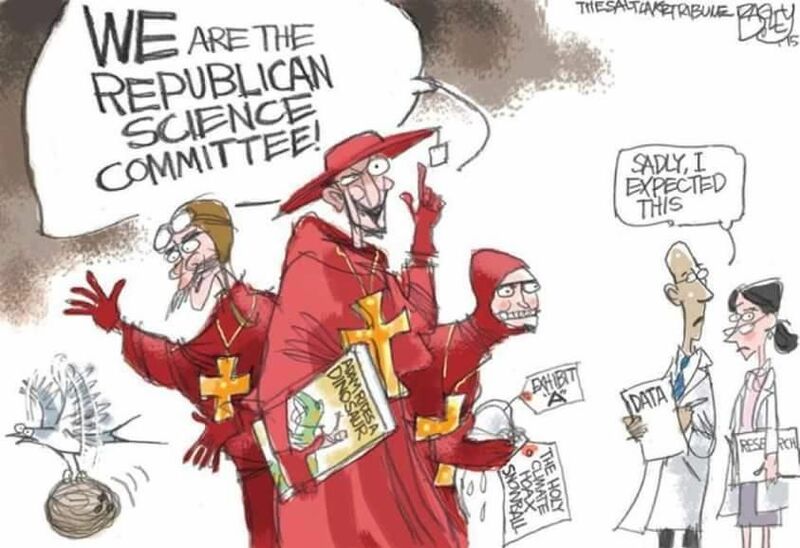 A true man of science would be more interested in the actual science but clearly he is not. So not every emeritus professor of physics is a man of science. What an advert for Princeton. Apparently he is a denier gun for hire. Not sure if he wants 30 pieces of silver or a mess of pottage per article. "I wanted to check to see if you might have some time in the next couple of days for a quick call to discuss a couple items," Woods wrote to Ed Calabrese. Less than two weeks later, Calabrese's suggestions on how the Environmental Protection Agency should assess toxic chemicals and radiation were introduced, nearly word for word, in the U.S. government's official journal, the Federal Register. ... It signified the major shift the EPA has taken under the Trump administration. More than any before it, this White House has actively sought out advice from industry lobbyists and the scientists they commission in setting pollution rules. Calabrese's role illustrates a different side of this shift: the potential removal of long-standing public health practices and the incorporation of industry-backed and disputed science into federal environmental policy. This view—that pollution and radiation can be beneficial—has many experts worried. The fact that such a position may become EPA policy, they say, portends a future in which corporate desires outweigh public and environmental health. ... If the EPA ultimately adopts Calabrese's proposed new regulations, researchers say it could change decades of standards and guidelines on clean air, water and toxic waste. It could also fundamentally alter the way the government assesses new chemicals and pesticides entering the marketplace. ... The group will be structured so that it can do its work off the record. The Post notes that a formal Federal Advisory Committee would include having meetings in public and creating extensive public records of its deliberations. As a result, the new plan is to create an ad-hoc working group instead, which avoids the need for any public disclosure. Normally, these sorts of working groups would be expected to include members of the government. As noted above, however, the National Climate Assessment was firmly within mainstream scientific thought; the planned "adversarial peer review" will therefore require recruiting people outside of science's mainstream. Conveniently, William Happer, who had been promoting this review to former EPA administrator Scott Pruitt, is well connected to the far-from-mainstream when it comes to climate science. Happer is supposedly organizing this working group with Steve Koonin, an NYU physics professor who frequently writes anti-climate-science op-eds for the Wall Street Journal. Beyond those two people, E&E News reports the planned working group composition reads like a "who's who" of people who have been invited to testify before the US House Science Committee while it was under the leadership of Lamar Smith and had an antagonistic approach to many areas of research. Proposed members include people like Judith Curry, who thinks current warming may be part of a natural cycle but hasn't identified what in particular may be cycling. John Christy is also on the list, and his previous testimony has been criticized for relying on graphs that have offset baselines and no error bars. Also supposedly on tap is Richard Lindzen, a retired MIT scientist who has been on the payroll of a libertarian think tank in recent years. Collectively, this is precisely the group you would name if you wanted people to disagree with the conclusions of most climate scientists while providing a veneer of academic respectability. The fact that it's difficult to think of more than two or three additional US scientists that could serve the same purpose, however, provides a sense of how far outside the mainstream this group would be. ... Trump’s proposal will slash the budget for DOE’s Office of Renewable Energy and Energy Efficiency (EERE) from $2.3 billion to $700 million — a roughly 70 percent cut — Bloomberg reported this week, citing a department official familiar with the plan. The full budget request is expected to be released Monday. The dismal science is not amused..
A partisan operative has no business making policy at an independent central bank. I'm sure he already has plenty of business lined up. A single year of missed funding or underfunding can kill a project that took decades to plan and enact. 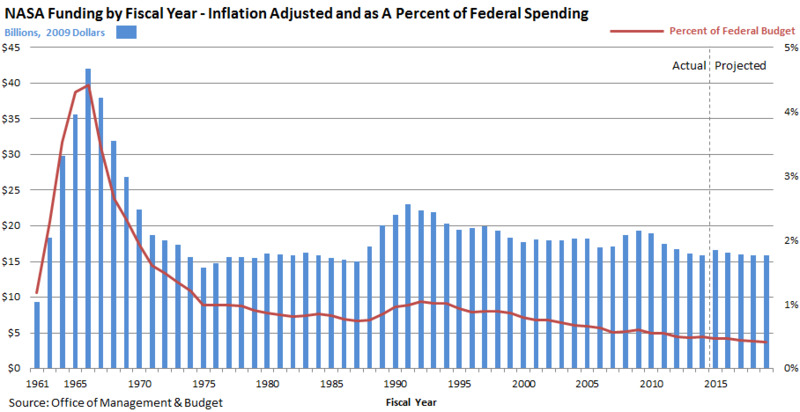 - The science budget is being cut across the board by 8.7% ($603 million): the largest single-year decrease in history. 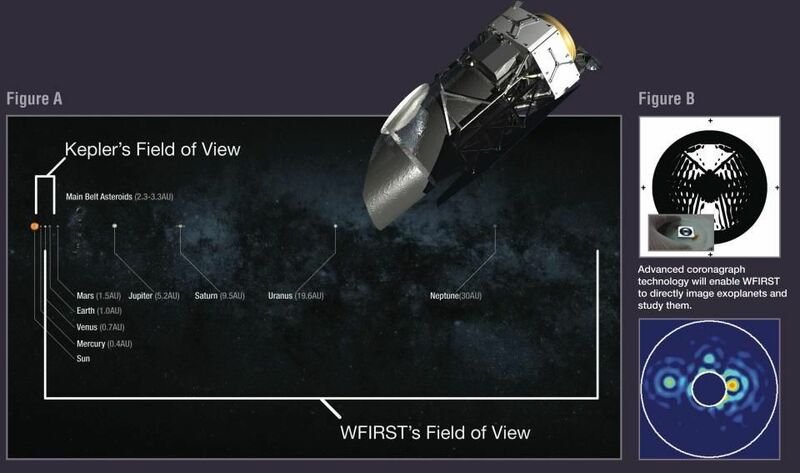 - The James Webb Space Telescope budget is being split off from the NASA astrophysics budget while Wide Field InfraRed Space Tellescope (WFIRST) is killed entirely: this signals the end of the flagship mission program that makes NASA, well, NASA, according to Science Mission Directorate head Thomas Zurbuchen. - Last year, acting administrator Robert Lightfoot's statement acknowledged the deep cuts that would harm science; this year's statement by Jim Bridenstine lauds the new initiatives but doesn't even mention that these cuts are occurring. - Emphasizes small-mission funding and continuation for existing missions at the expense of long-term and future missions. 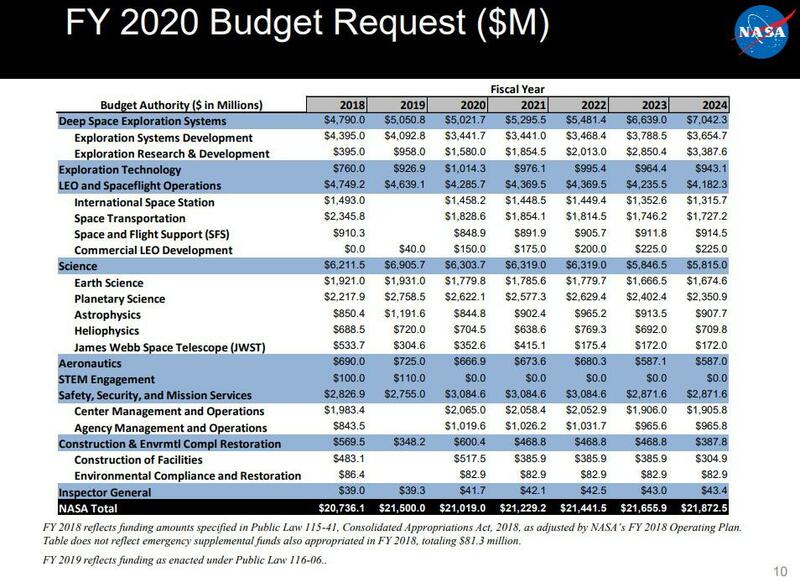 - Reduces planetary science, Earth science, and heliophysics funding, as well as astrophysics funding. - Eliminates the office of STEM outreach, along with its portfolio of grants and cooperative agreements. Something funny for a change. But be careful with the last comment on the video, it is completely true!! !